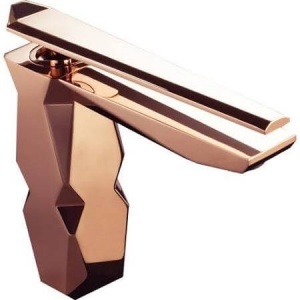 If you want to splurge, consider this gorgeous, brushed rose gold, Icon bathroom sink faucet by Hispania Bath. 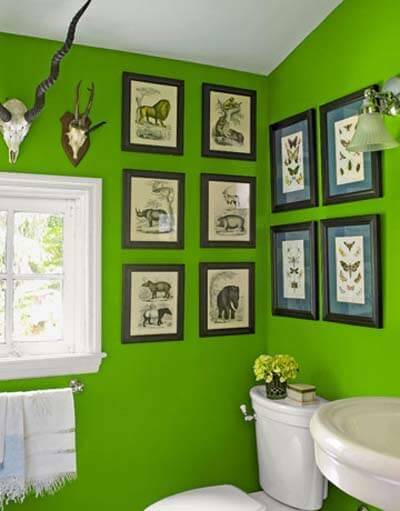 The price is steep: $792, but the design is ideal for a luxury contemporary space. 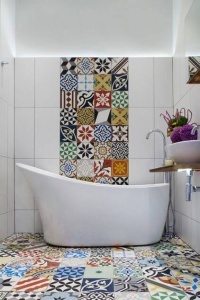 Moreover, purchase some lighting accessories that will attract attention and bring in a unique personal touch. 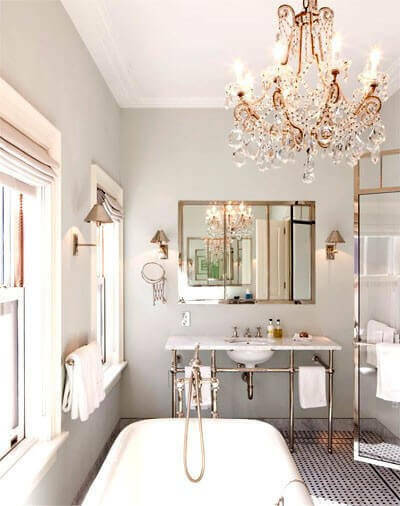 Take cue from the image below, where a beautiful crystal chandelier becomes the focal design point in this cute small bathroom. 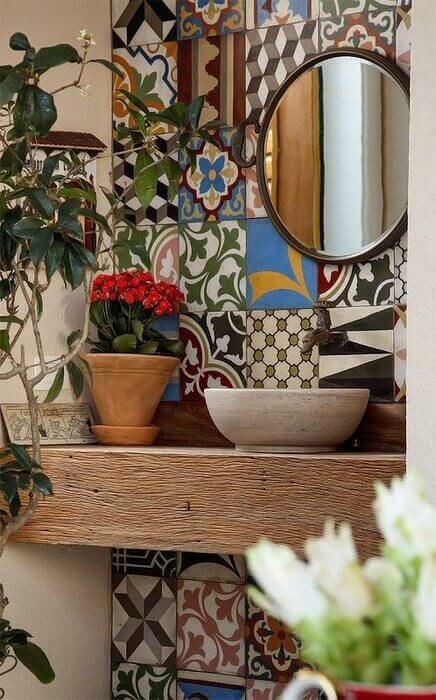 If you have a truly tiny bathroom, you might want to consider a great space-saving idea, that is highly popular in Europe – a wall-mounted toilet. 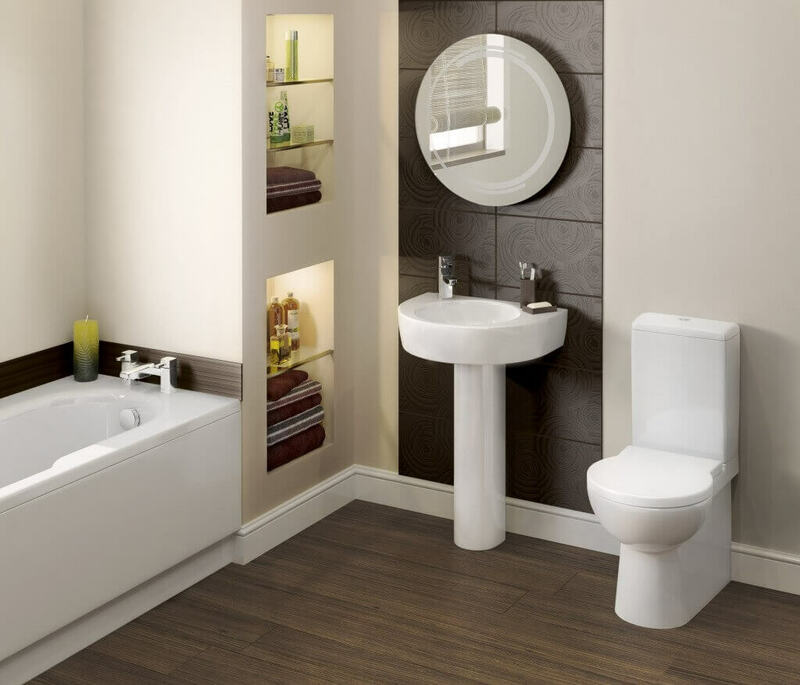 Don’t be fooled into thinking that this type of toilet has a flimsy, unsafe design. 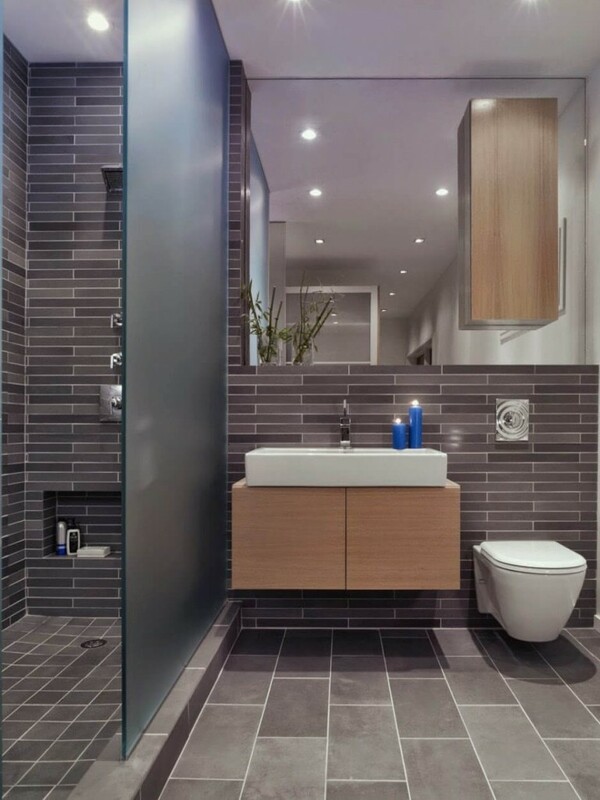 With proper installation, it is just as durable as any other toilet. On the up side, you save a lot of space by not having the center pedestal and the upper tank. 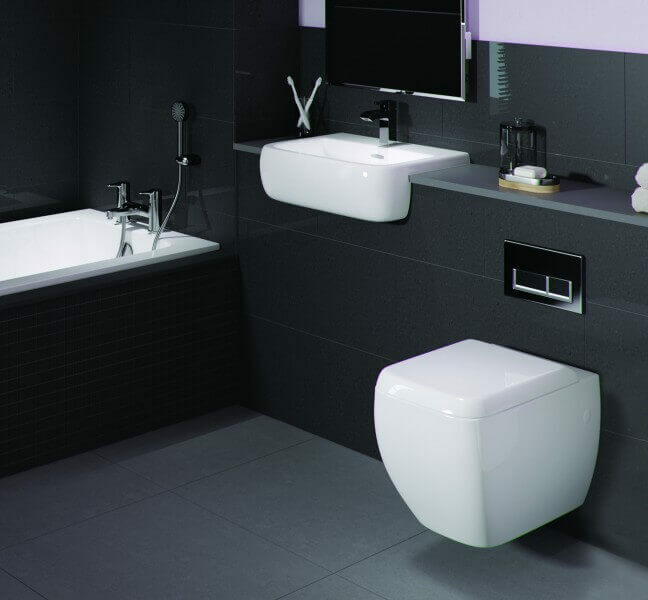 We love this minimalist-looking, wall-mounted toilet by TOTO. 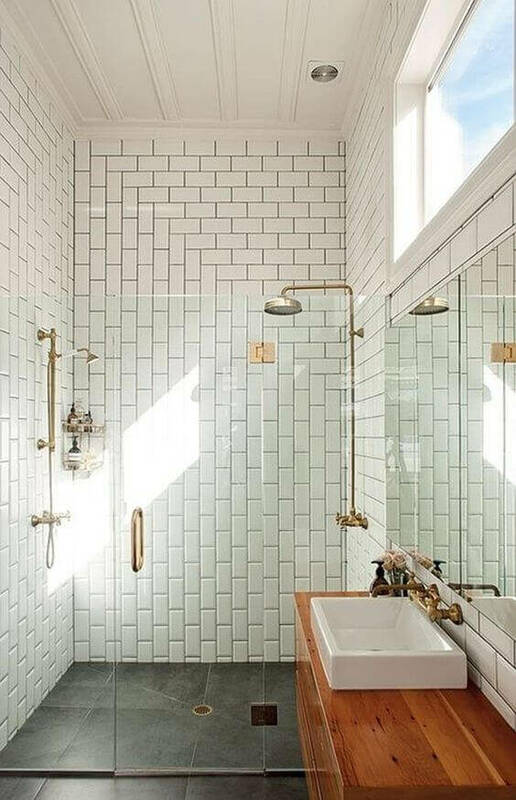 You can also use these planning guidelines set out by the National Kitchen and Bath Association to increase the functionality of your bathroom.